I was fortunate to be able to pick this car up from Casey for a good price. He did a great job and I hope to continue to maintain his car and help refine it a bit as I am able. First thing on my list was to help with radiator cooling a bit, thus enter some shop-vac attachments with hoses. I also will be trying to add some brake ducting of some sort. The rotors were warped and i want to avoid doing this in the future, although I am not planning on driving this car hard, I have never done this before and would like to try to see how it comes out. I know the rotors are at the end of their life, i will try to get through this summer with them and then pick up a new set from coleman for the next summer. reading through some threads and a bit of research I am pretty convinced that the rings are probably a little weak, but i think i will be able to live with it for a while. A friend of mine suggested switching to dino oil of a heavier weight (20-50) to help reduce the blow by. He had a TTV8 american muscle and when he tried switching to synth oil he had tons of blow by and when he switched back it got better. I am not thinking this will completely cure the problem but i think it may help a bit. If anyone knows any reason not to please LMK. The other issue was with the starter, it did act up on me a couple times, but honestly it was not all that bad. Since Casey said he had the starter rebuilt i am leaning tward the ignition switch. I may before the car is on the road again wire a push button start in and see if it helps. If not I will be looking into it more when I am actually using the car again. Last edited by audios on Fri Jun 08, 2018 6:36 pm, edited 11 times in total. What I would do is... When motivated, pull the engine out, remove head and rotating assembly, assess and most likely hone, new rings, and do rods since it's apart (perhaps rod bearings). 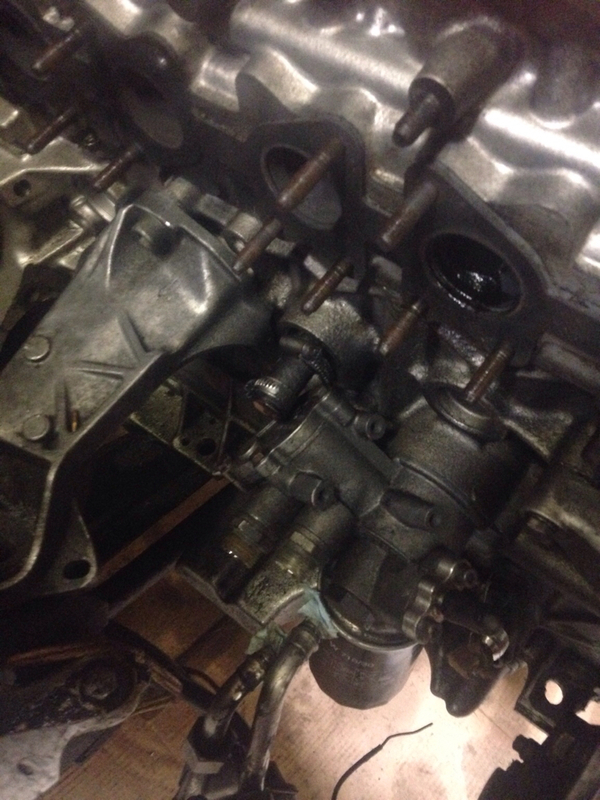 Assemble and address the catch can by adding a drain (ccv already comes off the valve cover right?). 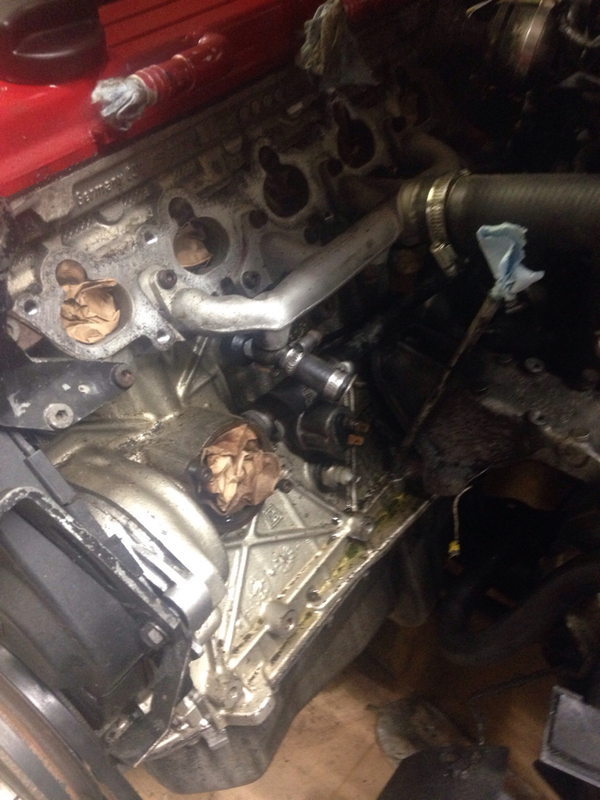 If you don't want to tear down the engine anytime soon, do the drain so you don't have to empty the can so often. After this you're basically covered engine-wise for a while. Brakes... Ducting sure. Fun project. Not sure it will help the "warping" but go for it. chaloux wrote: What I would do is... When motivated, pull the engine out, remove head and rotating assembly, assess and most likely hone, new rings, and do rods since it's apart (perhaps rod bearings). Glad to see a thread on here! Didn't know it had rods. Damn! Would be a quick and cheap teardown then. Give'r! I'm subscribed thicker oil should slow things down. are the photos not showing up? Started the re-ring,new transmission, PS pump seal kit install project today. got most of the front end of the car off, putting most bolts back where they came from. there was some oil in the IC, and just realizeing as i am typing this that i should have had it drain into a cup or something to be able to measure it, well im just going to hope that its not to much I hung the bumper up to one of the ceiling joists to make sure ppl dont break it kicking around the shop. I hope to have this front end work done by feb sometime as i hope to be able to move it down to my new house that i should be moving into around that time. then i can start the rear susupension/ quiet muffler work. The house is a bit of a fixer upper so would rather leave the smaller car project to try to tackle while transitioning to the new place. Photos from a few days ago. Hope to have some more time to put into it soon. Still have to pull the PS pump to put in new seals. will probably switch over to M1 fluid at that time. After the last snowstorm i am hoping i can keep using the bottom end that is in it as i would like to put the URS4 that is on backup motor duty on the road for next winter. Keep it up. It'll be well worth it when its done. I am looking to add and auxiliary radiator between these two ports. Any reason I should not? so an aux radiator between the turbo coolant inlet and turbo coolant outlet essentially? No issue, just more complicated plumbing. was the turbo not water cooled? Does anyone have an opinion on this one? #2 looks like i need a valve guide?